Yes, pretty places do exist in Singapore. And it’s not hard to find either. Everyone is familiar with East Coast Park. 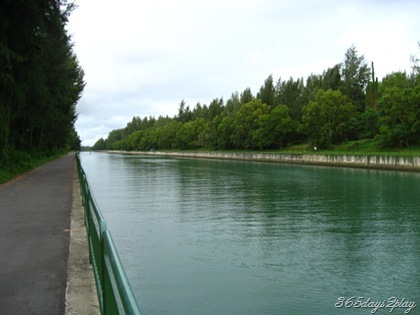 If you continue cycling towards the Changi Airport, after the Safra Golf Course, you will come upon the Coastal Park Connector, which was only completed a few years ago. 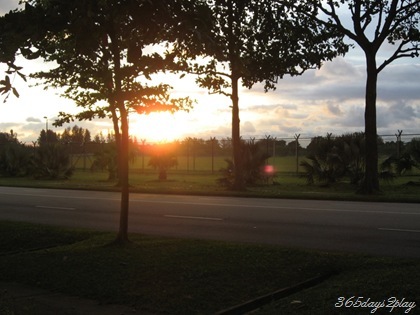 Go about 6pm when the sun is not so harsh, then the pictures will turn out nicer. We were lucky enough to also be able to see a rainbow, which is certainly not an everyday occurrence. But you will be able to find pretty things, if you take time to smell the flowers. Once, during the morning rush hour, I spotted a beautiful rainbow in the sky. It was so pretty I kept looking until I nearly bumped into someone. Then I realised that hardly anyone noticed the rainbow because everyone was staring vacantly ahead zooming along like robots. Isn’t that so sad? 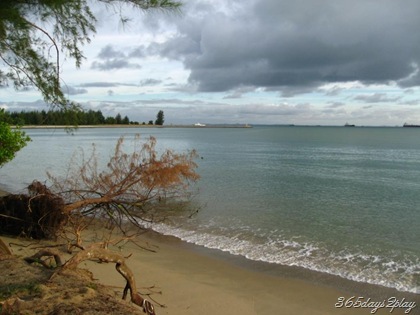 Bring along your picnic basket and picnic mat and have a rest when you arrive here (the 1st 2 pictures). 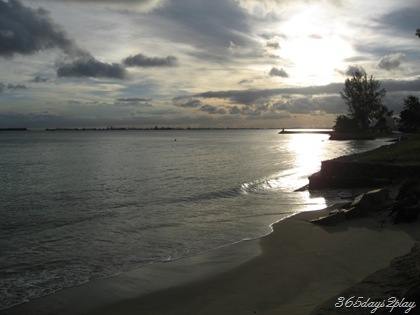 It’s probably the least crowded part of East Coast Park and you can have a good view while you relax. 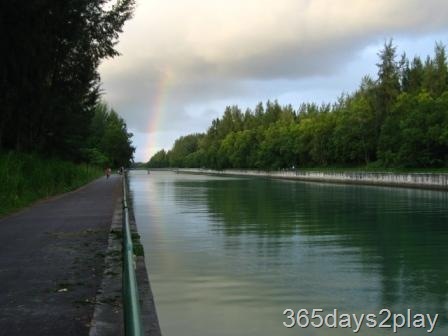 We were privileged enough to see this beautiful rainbow and its reflection, on our maiden cycling trip along the Coastal Park Connector (East Coast Park to Airport). 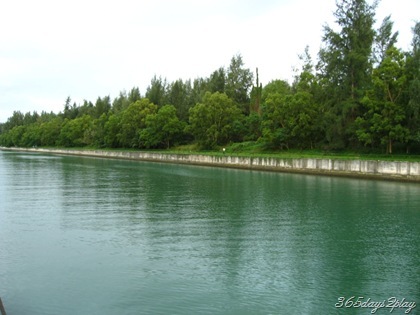 The Coastal Park Connector is one of the most peaceful and scenic spots in Singapore. 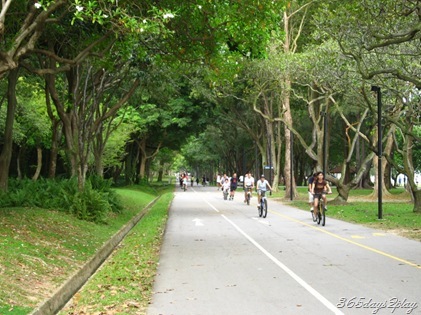 It’s hard to imagine, but such places do exist in Singapore.